Fitbit CEO James Park didn’t just come down to Sydney this week to see the harbour. He came to celebrate the company’s 10th anniversary and ring in its second decade with their first smartwatch, the Fitbit Ionic. What’s more, he didn’t come alone. He brought with him Fitbit’s lead research scientist and head of innovation Conor Heneghan. 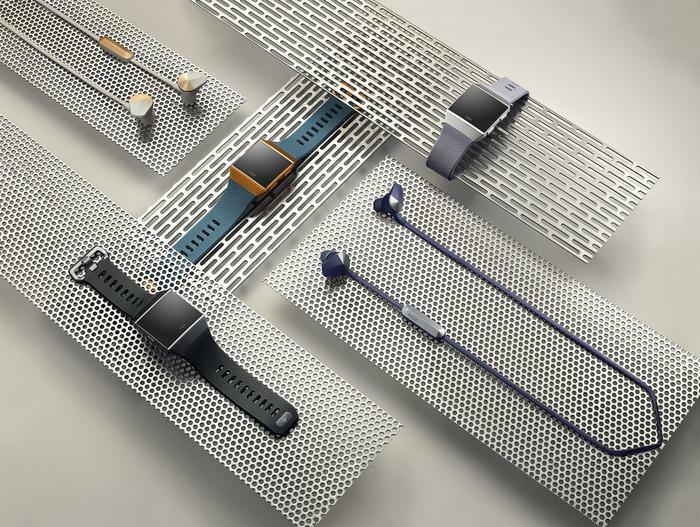 We spoke to both Heneghan and Fitbit’s Director of APAC Product Marketing Alexander Healey about the launch of the company’s first smartwatch, the fate of last year’s Fitbit Blaze and whether or not the company's future products will include a blood-sugar monitor. So Fitbit has invested a lot in software in the last year or two. Was that something you found was a weakness based on customer feedback? CH: I don't think it's been a weakness, I think it's kind of what people want. They want new features, they want new insights [and] software has always been key to what Fitbit does. So I don't think there was a particular response to anything other than trying hard improve the product and the experience for people. Tech marketing is often about big flashy new features that are visually stylish and/or life changing. How do you sell sleep-tracking in that way? CH: Well, it kind of sells itself. It's always been in the products a long time [and] it's always been really highly engaged with so it's up there with steps and heart rate in terms of [the] functions people ask about. I was specifically brought in to try and push the sleep stages and improve the tracking. So I think when we look at our kind of customer wishlist, it's always one of those things near the top - “I want to know more about my sleep”, or “ways to sleep better”, or “how does my exercise affect my sleep”. So we can definitely sense it from the customer voice that sleep is important. 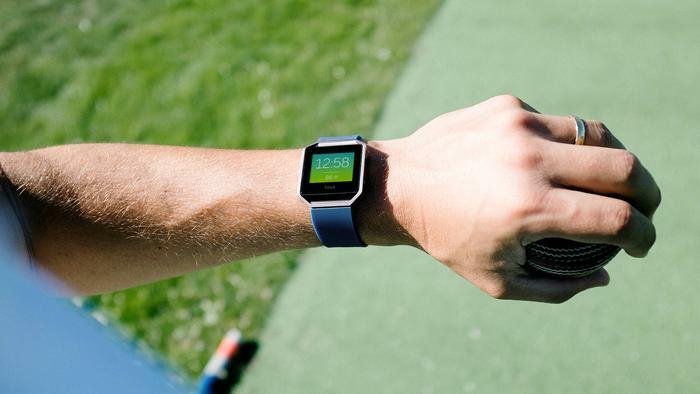 What did you learn from the Fitbit Blaze? What feedback came from customers? AH: We've learned a lot from Blaze. One is that we got a really good degree of uptake - it was our #2 device. When we came out with the special edition, the full gunmetal black version, that [also] saw great uplift for us. 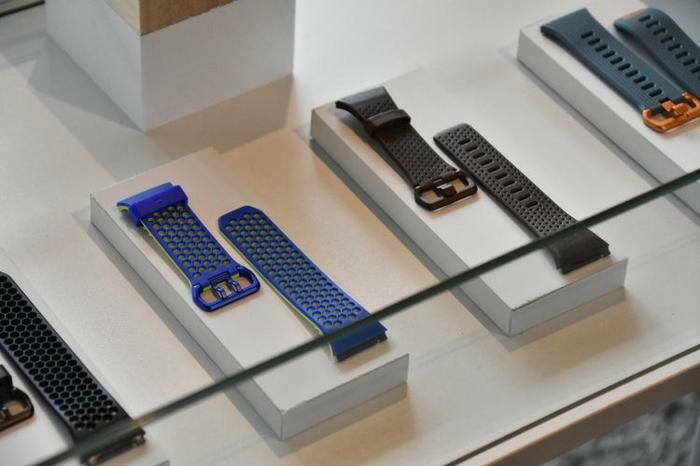 That really, really focused on the fashion aspect of it - the interchangeable bands. What we learned was that 40% of our users were upgrading, and so they upgraded to the latest device - and so that was an interesting data point for us to learn. The feature set - we learned what people were using on the device, what they were interested in, and also, through the life cycle of firmware updates, we were able to add features. It was introduced at CES 2016 and we've introduced new products since then with new features and we've been able to further update that device to add those features back in. We've kept the journey for people and owners of Blaze fresh. That's why it will remain in the line-up. So you expect that to continue? AH: In terms of firmware updates, we've added all the features that are [the], sort of, standard set of features like the Relax app, the Breathing app, like the cardio fitness features we added with the Charge 2 launch. So, we continue to add features through where it makes sense in our portfolio products. How important do you think adding features and new functionality to the wearables you sell at Fitbit over their lifetime? CH: I mean we generally try and give our customers the best experience possible. As you probably know, there tends to be a couple of maybe two or three software updates through a product's life cycle so it's effectively a function of what's available at the time. Does the tracker device have the right memory and is it capable of supporting the feature? Is it going to make sense for that particular product? But in general we try to use the update process to kind of roll things out. Does the Ionic support fast-charge and is it wireless charging friendly? AH: So, it's not [got] wireless charging, and that's because we've got so many sensors packed into the device, wireless charging was restrictive - engineering and technically-wise, because we've got off-wrist detection that uses a capacitive coil, and also the other RF devices in their, wireless charging was just a feature that wouldn't make the list technically, at this stage. In terms of fast-charging: yes. As with most lithium-ion batteries these days, you can get a degree of charge over a very short period of time that will continue your use. But not any of the branded “fast-charge” technology? AH: No, we use the standard lithium ion capabilities to be able to give you a boost and continue monitoring your exercise during the day. Conor, Given your background, what's the next big sort of health tracking problem you want to see solved? CH: There are so many things. I think anything we can do to help people with diabetes. I think would be really impactful. Exercise is a really, really big part of controlling diabetes. We announced a partnership with Dexcom, which has continuous glucose meters, where basically if you go to their system you can kind of see it on the Fitbit device. [There are] a lot of really good inventions around diabetes too. Trying to get people to the right size, nutrition, and exercise. In terms of being a public health issue. That would be one we would love to make an impact on. Wearables can track so much data now. How do you approach encouraging users to actually turn that into action? How do you go about teaching the user to go filter through that data and get the most out of the tech? CH: We are really interested in behavioral change and we’ve been working with insights. The sleep stages comes with insights to try and educate people, give them feedback that's specific to them. The same thing will happen in the future with exercise insights, or with nutrition insights. I don’t think James touches on it today but we are looking at new programs that will help people undergo certain types of behavior change in a guided fashion. That's definitely part of our future as well. 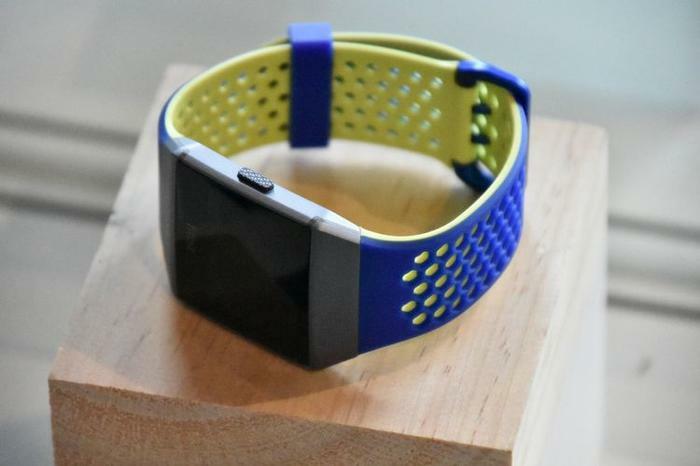 Where do you draw the line between fitness trackers and smartwatches? CH: Oh boy, it's a bit of religious debate. The first thing, I think the ability to develop apps and have that SDK. That's a secure a place as any to draw, if you had to draw an arbitrary line. But it's a very fuzzy line. AH: You know, it's a good question, and it even extends through to the research houses like GFK. GFK struggles to differentiate between smartwatches and trackers. We have to understand that, because we're obviously understanding their research, which helps us design product. So, even the research houses struggle with that fact. There is an overlap occurring, and it's getting harder to distinguish between smart devices, smartwatches and trackers. It's getting harder. Do you see the two categories diverging in the future? CH: I think there's going to be kind of prices for different people. Some people will always want a super simple device that does one thing, and some people want a high end device that does multiple things. 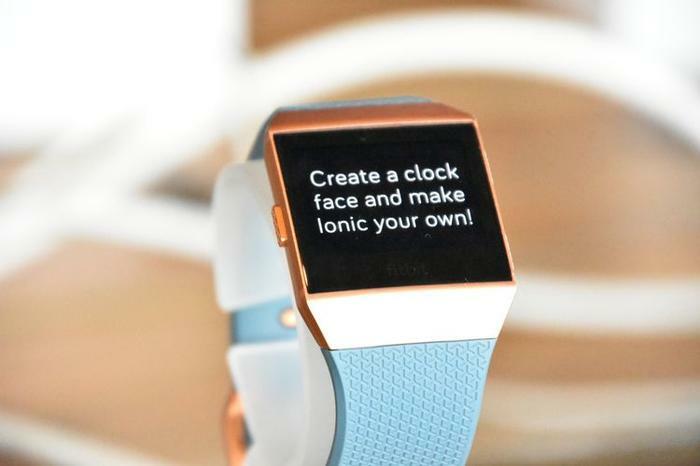 Why build your own OS for Ionic over using something like Android Wear? CH: So I think from a tech point of view, we are talking about the battery life. I think to really optimize the hardware-software fit doing our own version turned out to be the way to push the battery life out. Also we’ve got this great group that came in from Pebble and Vector and Coin as well. So that kinda gave us a great core of technology built around. Pebble had a great SDK and great developer community already. So we've been able to use an existing infrastructure a lot. Apart from giving them just an easy tool set and making it very accessible, how are you sort of encouraging developers to jump over to the Fitbit app store? CH: I think they've had a lot of excitement - particularly within the Pebble community. There's actually a lot of good will developed in there and I think that a lot of Pebble fans are glad that Pebble lives on in spirit and in this Fitbit device. We aren't just passive, we are actively reaching out to developers. 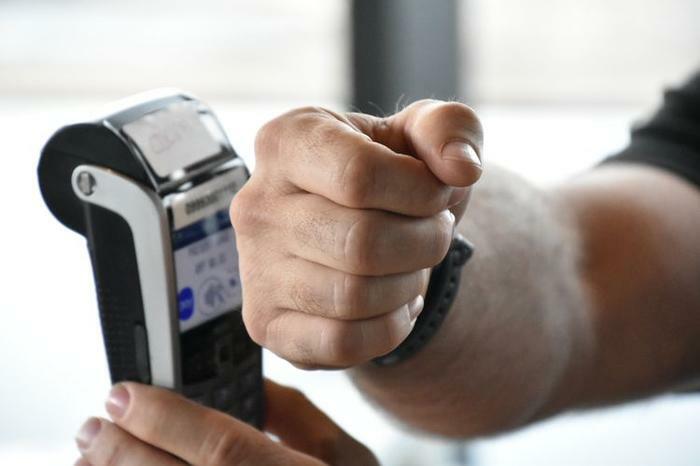 And, likewise, why go for Fitbit Pay over an existing digital wallet service? CH: So my understanding is we are actually mainly [using] it standard that Visa and Mastercard have said they want people to use. We haven't invented something new - we made it easy for Visa and Mastercard could work with us. Do you think there's a risk of confusing customers? CH: I think it's going to be an awareness building exercise. I know we paid for coffee - sometime last week - and we used the Fitbit Pay service and they seemed to know what to do. Does the transition by Apple allow a 4G on the smartwatches worry you? Is that going to change the market in any real way? CH: We'll find out. *laughs* I don't know. I'll be interested to see. Is that something you'd be open to following in the future iterations of Ionic? CH: In general, any of the companies are expanding the smartwatch space in general. So I think that's good for all of us. So I wouldn't say we're particularly trying to give it life. The Ionic supports Pandora integration. However, Pandora's actually not available in Australia anymore. Will you support other streaming platforms? CH: We definitely looking at what music we can support. AH: Yes, I knew that question was coming, and we are working on other partnerships. And that will come as soon as we can make the partnerships happen. 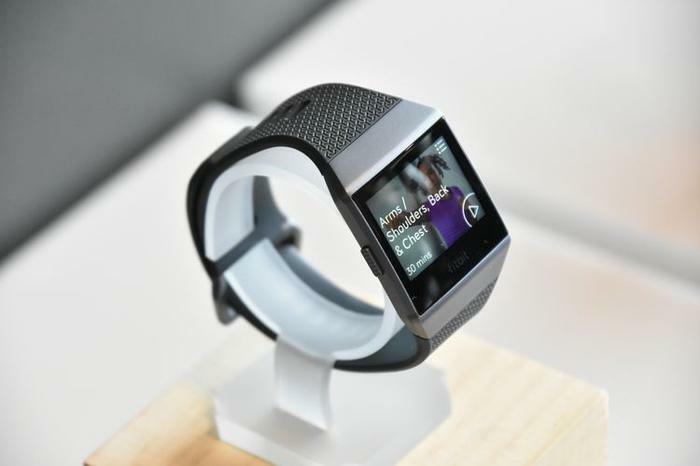 Fitbit have a partnership going with the Adidas, Samsung are working with Speedo, Apple have Nike. How important do you think those partnerships are to bringing these product to those markets? 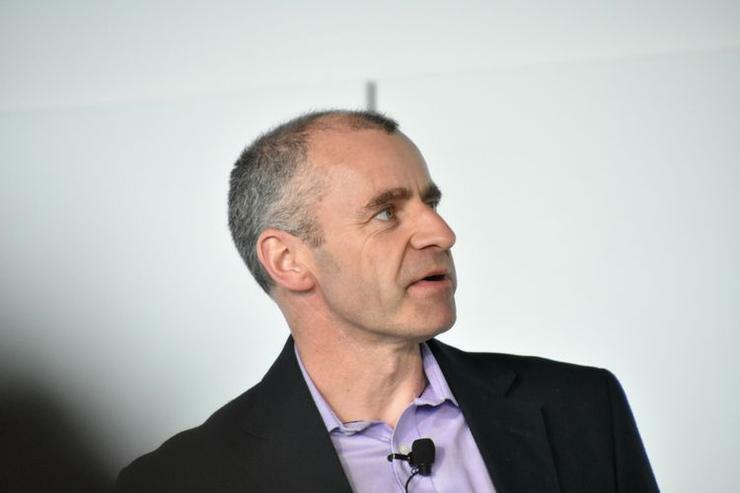 AH: We see it as strategically important, because it gives us a deeper connection into sports, and also product exposure into different areas, and different customer bases, So, it's strategically important. You can get a full first look at the Fitbit Ionic at our coverage of this week’s event here and you can expect to see a full review of the Ionic in the coming weeks.